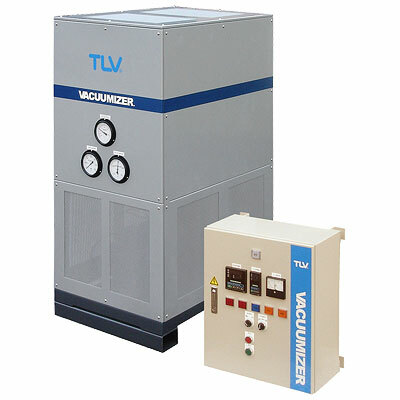 Vacuumizer® - An innovative heating method that utilizes vacuum steam for heating under 100 °C, and an innovative cooling method that utilizes vacuum technology for cooling. A system that offers vacuum steam heating using saturated steam under 100 ºC and using vacuum technology for cooling through evaporative cooling. 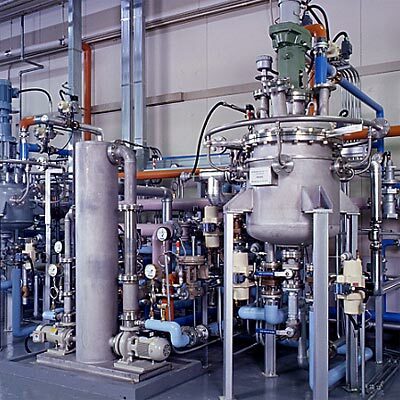 Vacuum steam heating system that packages together into one system a vacuum generation unit, a steam pressure control and a desuperheating unit. Steam heating below 100 ºC yields improved product quality and productivity. Steam systems requires less space than hot water systems. This system makes possible both heating and cooling using vacuum steam below 100 °C. The system switches quickly between heating and cooling. It combines the strengths of both a vacuum steam heating system and a vacuum vaporization cooling system. 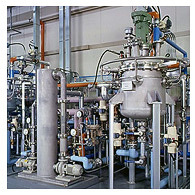 Reactor kettles, polymerization kettles, concentration kettles, presses, heat exchangers, dryers, etc.